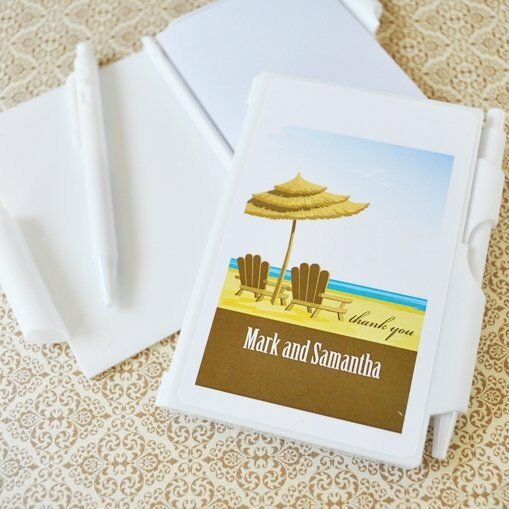 Our notebook personalized wedding favors are a practical and charming thank you gift for all your guests. This handy favor comes with an attached pen and slips easily into a purse or glove box for convenient note jotting! 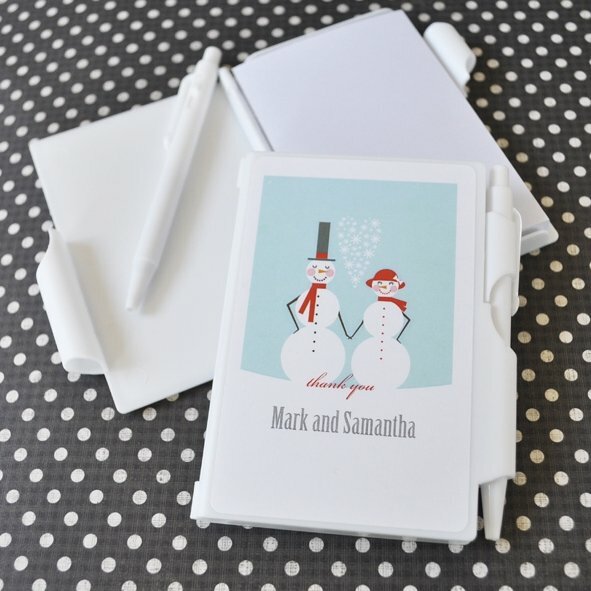 Each 3.25" x 4.25" white notebook opens up to reveal a blank white notepad inside and a pen conveniently holds everything together in one place. 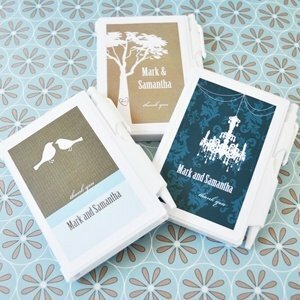 We also include a personalized label with your choice of elegant design along with 2 lines of custom text. I may have some notebooks from my last event, I was wondering if I could i order only stickers ? I'm sorry, we do not sell the stickers alone - the Notebook Personalized Wedding Favors - Elite Designs are only sold as a set.